The Company of Merchant Adventurers of London was a trading company founded in the City of London in the early 15th century. It brought together leading merchants in a regulated company in the nature of a guild. Its members' main business was exporting cloth, especially white (undyed) broadcloth, in return for a large range of foreign goods. In the early seventeenth century, similar groups of investors were formed to develop overseas trade and colonies in the New World: the Virginia Company (which later split into the London Company settling Jamestown and the Chesapeake Bay area, and the Plymouth Company, which settled New England). The Company of Adventurers in Canada sent forces during the Thirty Years War that achieved the surrender of Quebec in 1629. The company received its royal charter from King Henry IV in 1407, but its roots may go back to the Fraternity of St. Thomas of Canterbury. It claimed to have liberties existing as early as 1216. The Duke of Brabant granted privileges and in return promised no fees to trading merchants. The company was chiefly chartered to the English merchants at Antwerp in 1305. This body may have included the Staplers, who exported raw wool, as well as the Merchant Adventurers. Henry IV's charter was in favor of the English merchants dwelling in Holland, Zeeland, Brabant, and Flanders. Other groups of merchants traded to different parts of northern Europe, including merchants dwelling in Prussia, Scania, the Sound, and the Hanseatic League (whose election of a governor was approved by Richard II of England in 1391), and the English Merchants in Norway, Sweden and Denmark (who received a charter in 1408). 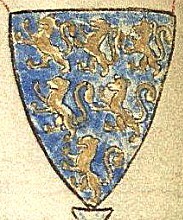 Under Henry VII's charter of 1505, the company had a governor and 24 assistants. The members were trading investors, and most of them were probably mercers of the City of London. However, the company also had members from York, Norwich, Exeter, Ipswich, Newcastle, Hull, and other places. The merchant adventurers of these towns were separate but affiliated bodies. The Society of Merchant Venturers of Bristol was a separate group of investors, chartered by Edward VI in 1552. Under Henry VII, the merchants who were not of London complained about restraint of trade. They had once traded freely with Spain, Portugal, France, Italy, and the Netherlands, but the London company was imposing a fine of £20, which was driving them out of their markets. Henry VII required the fine to be reduced to 10 marks (£3, 6s and 8d). Conflict arose with the Merchants of the Staple, who sought to diversify from exporting wool through Calais into exporting cloth to Flanders without having to become freemen of the Company of Merchant Adventurers. The Merchant Adventurers kept control of their trade and Flanders as their port. Foreign merchants of the Hanseatic League had considerable privileges in English trade and competed with the Merchant Adventurers, but these privileges were revoked by the English government in the mid-16th century. The Merchant Adventurers decided to use other ports. Emden in East Friesland and Hamburg competed to serve the Merchant Adventurers of England, who chose Emden. They soon found, however, that the port failed to attract sufficient merchants to buy the English merchants' wares, so they left abruptly and returned to Antwerp. Operations there were interrupted by Queen Elizabeth's seizing Spanish treasure ships, which were conveying money to the Duke of Alva, governor of the Netherlands. Although trade was resumed at Antwerp from 1573 to 1582, its declining fortunes ceased with the fall of the city and the subsequent development of the Amsterdam Entrepôt, and the Dutch Golden Age. Under the charter of 1564, the company's court consisted of a governor (elected annually by members beyond the seas), his deputies, and 24 Assistants. Admission was by patrimony (being the son of a merchant who was free of the company at the time of the son's birth), service (apprenticeship to a member), redemption (purchase) or 'free gift'. By the time of the accession of James I in 1603, there were at least 200 members. They gradually increased the fees for admission. The conflict of the Merchant Adventurers with the Hanseatic League continued as the latter had the same rights in England as native merchants and better privileges abroad. They could thus undersell English merchants. Hamburg was a member of the League. When the English merchants left Emden, they tried to settle in Hamburg, but the League forced the city to expel them. Emden was tried again in 1579. The Emperor ordered the Count of East Friesland to expel the merchants, but he declined. The English merchants remained there until 1587. In 1586, the Senate of Hamburg invited the Merchant Adventurers to return there, but negotiations over this broke down. The merchants who had frequented Middelburg since 1582 were invited to return in 1587 to the (now independent) United Provinces (later part of the Netherlands). Due to impositions by Holland and Zeeland, this was an unpopular choice with company members. In 1611 the company's staple was permanently fixed at Hamburg. The designated Dutch staple port was moved during the early 17th century from Middelburg to Delft in 1621, then to Rotterdam in 1635, then to Dordrecht in 1655. The years between 1615 and 1689 were marked by periods, starting with the ill-fated Cockayne Project, when the company lost and then regained its monopolistic privileges. It moved its staple port from Delft to Rotterdam in 1635. The company suffered from trouble with interlopers, traders who were not 'free of the company' (or members), but who traded within its privileged area. When the Company of London lost its exclusive privileges following the Glorious Revolution of 1689, the admission fees were reduced to £2. 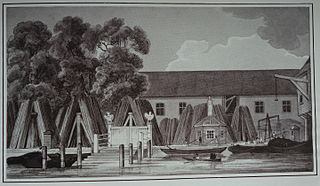 After Parliament threw the trade open, the company continued to exist as a fellowship of merchants trading to Hamburg. Because they drove a considerable trade there, members were sometimes called the Hamburg Company. The Merchant Adventurers of London still existed at the beginning of the 19th century. In the early seventeenth century, similar groups of investors, referred to as "adventurers", were formed to develop overseas trade and colonies in the New World: the Virginia Company of Adventurers of 1609 (which later split into the London Company settling Jamestown and the Chesapeake Bay area, and the Plymouth Company, which settled New England). In addition, the Company of Adventurers in Canada sent forces during the Thirty Years War that achieved the surrender of Quebec in 1629, and colonized the island of Newfoundland. 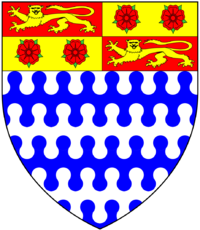 Merchant Adventurers of London: Barry nebulée of six argent and azure, a chief quarterly gules and or on the first and fourth quarters a lion passant guardant of the fourth on the second and third two roses gules barbed vert. Wikimedia Commons has media related to Merchant Adventurers Company arms. ^ Robert Brenner, Merchants and revolution: commercial change, political conflict, and London's overseas traders, 1550-1653 (Verso, 2003). ^ E. Lipson, The Economic History of England ((1956), 2;196-269. ^ Many records of the Court Meetings of the Merchant Adventurers of London are printed in L. Lyell and F.D. Watney (eds), Acts of Court of the Mercers' Company 1453-1527 (Cambridge University Press, 1936). ^ Calendar of Patent Rolls, Elizabeth I, Vol. III: 1563-1566 (HMSO London 1960) pp. 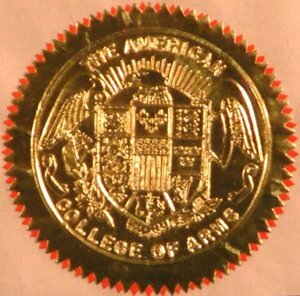 178-80, item 922. Brenner, Robert. Merchants and revolution: commercial change, political conflict, and London's overseas traders, 1550-1653 (Verso, 2003). Lipson, E. The Economic History of England I (12th edition, 1959), 570-84; II (6th edition 1956), 196-269. The Hanseatic League was a commercial and defensive confederation of merchant guilds and market towns in Northwestern and Central Europe. Growing from a few North German towns in the late 1100s, the league came to dominate Baltic maritime trade for three centuries along the coasts of Northern Europe. Hansa territories stretched from the Baltic to the North Sea and inland during the Late Middle Ages, and diminished slowly after 1450. The Worshipful Company of Wax Chandlers is one of the oldest livery companies of the City of London, with one of the smallest memberships. The Levant Company was an English chartered company formed in 1592. Elizabeth I of England approved its initial charter on 11 September 1581 when the Venice Company (1583) and the Turkey Company (1581) merged, because their charters had expired, as she was anxious to maintain trade and political alliances with the Ottoman Empire. Its initial charter was good for seven years and was granted to Edward Osborne, Richard Staper, Thomas Smith and William Garret with the purpose of regulating English trade with the Ottoman Empire and the Levant. The company remained in continuous existence until being superseded in 1825. A member of the company was known as a Turkey Merchant. The Steelyard, from the Middle Low German Stalhof, was the main trading base (kontor) of the Hanseatic League in London during the 15th and 16th centuries. The de Trafford Baronetcy, of Trafford Park in the County Palatine of Lancaster is a title in the Baronetage of the United Kingdom. The Treaty of Utrecht was signed in 1474 after the Anglo-Hanseatic War between England and the Hanseatic League. The Anglo-Hanseatic War was a conflict fought between England and the Hanseatic League, led by the cities of Danzig (Gdańsk) and Lübeck, that lasted from 1469 to 1474. Causes of the war include increasing English pressure against the trade of the Hanseatic cities on the southern coast of the Baltic Sea. Carlisle was, from 1835 to 1974, a local government district in the northwest of England, coterminate with Carlisle. In 1835, following the Municipal Corporations Act 1835, Carlisle was constituted a municipal borough of Cumberland, but was promoted to county borough status in 1914, within its boundaries taking over the functions of Cumberland County Council. The district was abolished on 31 March 1974 by the Local Government Act 1972. The Spanish Company was an English chartered company or corporate body established in 1530, and 1577, confirmed in 1604, and re-established in 1605 as President, Assistants and Fellowship of Merchants of England trading into Spain and Portugal, whose purpose was the facilitation and control of English trade between England and Spain through the establishment of a corporate monopoly of approved merchants.